I'm going to explain why I much prefer taking continuation patterns. Let's talk about that and more right now. Hey, forex traders, Andrew Mitchem here, The Forex Trading Coach. This is video and podcast number 229. I'm going to talk about why I much prefer taking continuation patterns as the majority of my forex trading setups as a technical trader. So, back in New Zealand, after spending the last two and half weeks in the U.S., had a fantastic time over there. We did some free events and some live in–person one-day events in North Carolina and in Washington D.C. Had a great time, met some fantastic people, and we achieved some amazing success. Really, actually rewarding to meet existing clients who have been with me for a long time. I had some clients fly right across from the other side of America, from San Francisco to come across to train. I had a number of new clients as well. So, it was really interesting to meet those existing clients in person and just to see how well they're doing and to help new people with their trading. So, that was all about America. Back in New Zealand now this week. So the video today is about continuation patterns. So, as a trader … And I explained this to all of the people I taught last week. I'm looking for mainly two types of patterns. One is a reversal pattern. The other is a continuation pattern. Now, reversal patterns on the charts look really good. They're very rewarding to see. They look dramatic. As an example, there's a large uptrend. We're taking a sell trade because of a technical reason to do that, and the market drops in our favour. The opposite, of course, is a large downtrend, we're looking, we're taking a buy trade, the market reverses back up in our favour. Very dramatic, look very good, but slightly higher risk. So, to counteract that, my preferred way of trading is to look for a continuation pattern. I've got some great software that works on the MT4 platform. My clients all have access to it and it helps to give us a few reasons of why continuation pattern is likely to form and to give us confirmation that the reversal has happened, and the continuation is now back to resume, giving us an ideal opportunity to jump into the market at that point and ride the existing trend after a retracement or after a slight pullback. So, what does that actually mean? Well, let's say the market's trending upwards. As it's trending upwards, there may or may not be opportunities to ride that, but what I'm preferring to do is look for a retracement or pullback and then an opportunity to ride it back up again. Take the opposite of that, the market's moving down, and then we're looking to wait for the retracement or the pullback and then look for opportunities to take the market down again and to take short positions, sell positions as the continuation of the main trend happens after a reversal or retracement. So, it's a very safe way of trading. You blend it all together with everything that I teach, everything that I'm looking for, and you add to it the bigger picture, the longer term strength and weakness, which again I teach in part of my course. A basic version is available free of charge on my website every single day for you to go and have a look at, but when you blend all of this together, the bigger picture, the trend, the retracement, all the pullback, and then the opportunity to ride the trend in the same direction again. That is when you have probability trades and very good reward to risk. To give you an example of a trade that was just taken just a few hours before I recorded this, in the U.S. session webinar today, which is for my clients, and only for clients, we had a buy trade on the Canadian, Japanese Yen four hour charts. A fantastic continuation patterns set up on the charts. And it worked [inaudible 00:03:55]. It retraced to the exact levels that we're looking for, for the entry, and it moved to the profit target absolutely perfectly within one candle, which is four hours, being a four-hour chart and hit the for-profit target. So, clients who follow that one trade with half of 1% risk made, a 1.15% account gain, which is an absolutely fantastic reward considering this was just one bar. Now going back to America, you wouldn't get paid 1.15% on a normal savings account in an entire year. We just did this live in front of all clients who are on the live webinar in one bar. It just goes to show what can be achieved if you wait for the right setups and you don't take hundreds and hundreds of setup, so you wait for those higher probability setups. The way that I like to trade personally is wait to see them on the higher timeframe charts. This was a four-hour chart example. The trade worked beautifully. So, 1.15% account gain in one candle or four hours taken live in front of clients. That is something that excites you and it really should because something … There's a high probability low-risk trading style. If you'd like to find out more, you need to jump onboard with my course. 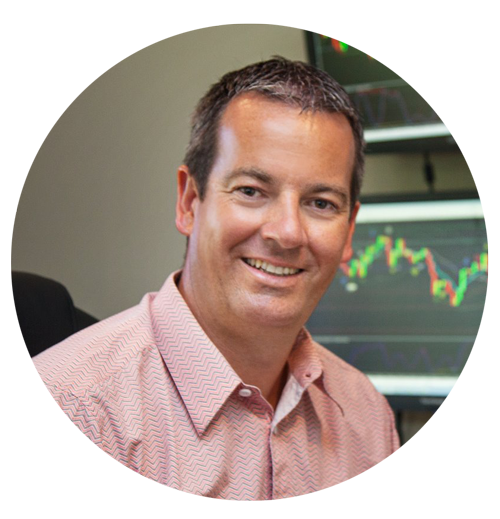 So, once again, this is Andrew Mitchem, The Forex Trading Coach. Have a great weekend. I'll talk to you this time, next week. Bye for now.